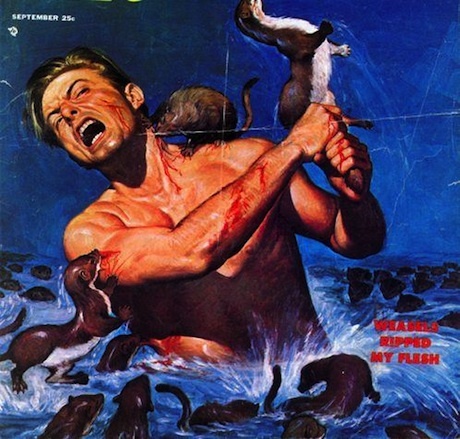 Climate Common Sense: How the Climategate weasels wriggled free! James Delingpole ,together with Christopher Booker ,will be in line for some serious recognition for his services in exposing the Global Warming scam when it is all over and done. James on the anniversary of Climategate sums up the current political situation. His article is reproduced below in full. This week marks the anniversary of Climategate but even though I helped break and name the story I’m certainly not celebrating. That’s because, despite the marked shift it effected in public opinion, its effect on public policy-making has been close to zilch. 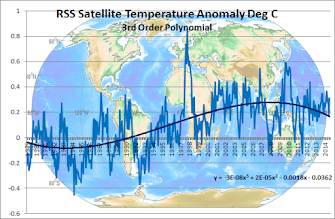 For chapter and verse on the horrifying disjunct between what all sane, informed people know about “Anthropogenic Global Warming” (ie, it’s a crock) and what our governments are doing in response (ie, “Nyah nyah. Not listening. We’re going to go ahead with our crazy tax, regulation and wind farm schemes anyway”) I refer you to this superb summary by M’Learned Friend Booker. 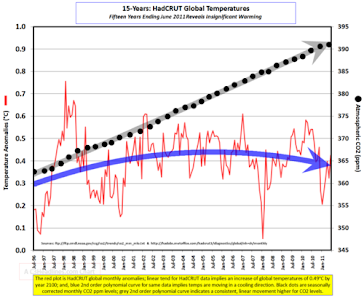 Since then, despite a series of unconvincing attempts to clear the Climategate scientists, it has become clear that the 20-year-old climate scare is dying on its feet. The money draining away from the Chicago exchange speaks louder than all those inquiries – and the same point will be made obvious in a fortnight’s time in Cancun, Mexico, as the UN attempts to salvage something from the wreckage at a conference that will draw scarcely a tenth of the numbers that met in Copenhagen. But to all this deflation of the bubble our political class in Britain remains quite impervious. Our governments in London and Brussels charge on with completely unreal and damaging policies which increasingly look as much of a shambles as the warming scare which inspired them. Scarcely a single politician dares question the Climate Change Act, by far the most expensive law in history, which commits Britain, uniquely in the world, to reducing its CO2 emissions by 80 per cent in 40 years. By the Government’s own estimates, this will cost up to £18 billion a year. Any hope that we could begin to meet such a target without closing down most of our economy is as fanciful as the idea that we can meet our EU commitment to generate 30 per cent of our electricity by 2020 from “renewable” sources, such as wind and solar. And why is this so? In part, at least, it is because of the abject, ongoing failure of our Mainstream Media to report environmental issues with the robust scepticism that ought to be the natural tack of responsible journalists. Too many environmental reporters are still regurgitating press releases handed to them by activist organisations like the WWF, Greenpeace and Friends Of The Earth. In the MSM, as in government, it’s like Climategate never happened. Those few pieces on Climategate which HAVE appeared in the MSM tend to have consisted of the various guilty parties trying to spin their way out of it. The disgraced, FOI-breaching, email-deleting, scientific-method-abusing Phil Jones of the University of East Anglia, for example, has granted tame interviews in Nature magazine and the Times presenting himself as a man far more sinned against than sinning. Michael Mann has been doing a similar auto-whitewash job in the US. But if you want to see an ecotard Houdini act at its most sublimely nuanced and slippery, I highly recommend this piece of sophistry from Mike Hulme in theGuardian. Second, there has been a re-framing of climate change. The simple linear frame of “here’s the consensus science, now let’s make climate policy” has lost out to the more ambiguous frame: “What combination of contested political values, diverse human ideals and emergent scientific evidence can drive climate policy?” The events of the past year have finally buried the notion that scientific predictions about future climate change can be certain or precise enough to force global policy-making. The meta-framing of climate change has therefore moved from being bi-polar – that either the scientific evidence is strong enough for action or else it is too weak for action – to being multi-polar – that narratives of climate change mobilise widely differing values which can’t be homogenised through appeals to science. Those actors who have long favoured a linear connection between climate science and climate policy – spanning environmentalists, contrarians and some scientists and politicians – have been forced to rethink. It is clearer today that the battle lines around climate change have to be drawn using the language of politics, values and ethics rather than the one-dimensional language of scientific consensus or lack thereof. And when I say “evil” I really do mean “evil.” Mike Hulme is professor of climate change at the school of environmental science at the University of East Anglia. In other words he’s not just in the belly of the beast but right up its digestive tract. Yet miraculously, he has managed to emerge from the Climategate scandal smelling of violets. How? Well there’s a clue in that phrase “the meta-framing of climate change”. Like his fellow arch-fiend Jerome Ravetz (co-inventor of Post Normal Science, the cod-intellectual movement that made Climategate possible) he is fluent in pseudo-academic gobbledegook designed to mean whatever listeners want it to mean. It sounds reasonable to many people because it doesn’t sound dogmatic. But the reason it doesn’t sound dogmatic is because like all postmodern waffle it’s not interested in trivial issues like truth or untruth, right and wrong. For people like Hulme, the science of “Climate Change” is a means to an end – and that end is advancing the goals of the liberal Left through ever more involved and constrictive policy-making. Like the Bourbons, the watermelons of the global green movement have learned nothing and forgotten nothing from Climategate. For them, AGW has never been about science or objective truth. It has always been just a pretext. Or, metatext, perhaps, if your name is Mike Hulme. For people who Hulme, is the science of climate change a means to an end and the goal is to promote the objectives of the liberal left in politics more and more involved and constrictive.